“I don’t have enough time” is the big excuse people give for not exercising. At Fenton Fitness, we can get you in and out of the gym in thirty minutes. Our movement based training sessions produce excellent results with minimal time commitment. We program in high value exercise activities in a layout that produces optimal gains. This is the first of six, 30 Minutes of Fitness, sessions. The best workouts are short, intense, and frequent. Intensity is usually the missing factor in most gym goers’ training sessions. B. Inverted row or TRX row 3 x 6-10 repetitions. C. Kettlebell Goblet Squat 3 x 6-10 repetitions. 5. Medicine Ball Overhead Throws off wall 3 x 5 repetitions. One and Two: Perform the two basic movement preparation drills for twenty yards each. Three: Load your sled up with +/- 20% of your body weight and give it a push for 100 yards. You can rest as needed, but try to get the entire 100 yards completed in less than five minutes. Four: You should be warmed up, breathing faster, and ready for some strength training. Perform the next three exercises in a circuit fashion. A set of push ups followed by a set of rows and then a set of goblet squats. Between the different exercises, rest as little as possible, and then after you get through an entire circuit, you can take a longer 90 second break. Repeat the circuit three times. Five: Work on power production with three sets of overhead medicine ball throws. Use a weight that lets you throw a line drive and not a lob. Choose the appropriate exercise variation and load for your strength exercises. Twelve sets of strengthening exercises. For most of the fitness clients I work with, long duration cardio training—thirty minutes on the treadmill, forty minutes on the elliptical, and any time on a recumbent bike is a waste of training time. It does nothing to move them toward their fitness goals. A far better choice is to perform strength training followed by a conditioning session. Conditioning sessions are very different than long duration “cardio”. Conditioning work is performed for short durations at high intensity. You link different drills together in a series to produce a metabolism boosting session that lasts ten to twenty minutes. Conditioning sessions speed up your metabolism–your body uses more calories just walking around, sitting, sleeping, etc. It improves your capacity to perform functional tasks such as lifting, carrying, pushing, and pulling. It is never boring–changing the stimulus changes your body. Conditioning sessions maintain the physical properties we lose as we age–muscle mass, bone density, and power production. Conditioning is time efficient–a properly designed session takes ten to twenty minutes and you are done. You are far less likely to suffer an injury because you are not performing the same movement patterns for multiple hours every week. Proper programming of a conditioning session will allow you train around an injury. Conditioning can be scaled to any fitness level. It will never–and should never–get easy. You will need a new wardrobe because all of your pants will get looser. You will not be able to watch TV while you exercise. It will get you kicked out of Planet Fitness. Since most gym goers are unfamiliar with conditioning training, we will be posting information on our favorite tools and a monthly conditioning session. Give these a try and let us know how you do. One of the most frequent complaints from gym members is that they exercise but see no results. They ride the elliptical, lift weights, and Zumba three days a week, but they make no progress in how they look, move, or feel. The common feature to almost all of these clients is that they have done the same activity at the same intensity for a prolonged period of time. The human body is a master at adaptation, and the only way it will change is if you alter your exercise activity on a regular basis. Novices can stay on the same exercise program for eight to twelve weeks and still see results. More experienced trainees should alter their routine every three to four weeks. Increase the weight you lift and lower the number of repetitions–four sets of five repetitions instead of three sets of eight. Add in some balance challenging single leg training and discontinue the bilateral exercises you have used since high school. Take a month and work diligently on improving a movement pattern that gives you difficulty. If your conditioning is below average, program in a series of high intensity sled activities for four weeks. Most programming changes make training more difficult and produce greater delayed onset muscle soreness. This is all part of creating a new stimulus that the body finds challenging. In a few sessions, the soreness will be gone. In three or four weeks, the sessions will be less demanding and you will be ready for another alteration in the training cycle. Many athletes and fitness enthusiasts would do well with taking two or three weeks away from training and focus on recovery and regeneration activity. Elite athletes often schedule two or three periods of recovery into their yearly training plans. Do not lift any weights, run, jump, or compete for a period of time. Get plenty of sleep, and spend that time working on your soft tissue restrictions by using a foam roller or massage stick every day. If you have tight hips, shoulders, or thoracic spine, dedicate this time to restoring motion at the restricted area. A fourteen day rest period is often enough time to permit full physical recovery, but not so extended that you lose strength or endurance. With full recovery, all systems will be able to respond much better once you return to training. Change is good, but frequently neglected. The best results will be produced with regular alterations of fitness programming. See our trainers for information on a Functional Movement Screen Assessment and training program design. As a society, we do not do enough to reward positive fitness habits. I think the Russians are on to something with this novel method of earning a subway ticket. As a country, we need to get into the fitness incentive technological race and expand on this advancement. We aren’t going to let the Russians beat us. The big thing to remember about diabetes is that it is a 24 hour a day, seven day a week disease that slowly and steadily robs your body of vitality. The good news is that diabetes (especially type 2-the most common) can be managed with proper diet, exercise, and medication. Read the information listed below and take the time to visit the website stopdiabetes.com. • Nearly 26 million adults and children in the USA have diabetes. • Another 79 million Americans are what is called “prediabetic”. They are at risk of developing full blown diabetes. • If we remain on our present trend, by the year 2050, one in three Americans will be diabetic. • Two out of three people with diabetes die from heart disease or stroke. • Diabetes is the leading cause of kidney failure. • Diabetes is the leading cause of blindness in adults. • About 60-70 percent of people with diabetes will have nerve damage (diabetic neuropathy) that can cause pain, disability, and digestive problems. • The rate of amputation among diabetics is ten times higher than in the general population. • A woman’s health is more intensely impacted by diabetes. A 2006 concensus study by the American Diabetic Association gathered together the most recent research studies on the effect of exercise on type 2 -adult onset diabetes. The latest research finds that exercise activity that increases muscle mass and facilitates coordination / motor control produced the best blood sugar levels and at the same time, enhanced mobility. Muscles take circulating sugar out of your blood stream and store it as glycogen. If you have more muscle, you are more efficient at managing blood sugar levels. Exercise selection that enhances motor control creates a neurologically enriched environment that permits the diabetic person to make the most of their neural connections. While walking on the treadmill is a nice start, if you wish to optimally manage your diabetes, you need to start some strength training that challenges your balance and coordination. I am convinced that most people are unaware of how effective exercise is in the management of diabetes and the elimination of prediabetic symptoms. You can dramatically improve blood sugar levels with as little as six weeks of training. Most diabetic patients think they have to exercise for months before they see any results. You have to convince them that the proper activities, performed three times a week, for thirty minutes can work wonders. They complete eight weeks of consistent training and blood sugar levels get better and medications are eliminated or reduced. All of them are surprised at how quickly they improve. We need to get this message out. I get to discuss fitness goals with women nearly every day. They want to lose weight, get rid of musculoskeletal pain problems, have more energy, and “get arms like that girl”. Many of them have been doing their favorite exercise activity for years and have been unsuccessful at achieving any of their stated fitness goals. What they tell me they want to do is yoga, elliptical training, and Pilates. What they need to do is start on a program of strength training. We all know that a body with more muscle burns more calories all day long. You can get away with eating more food and not develop greater fat deposits. Much more significantly, greater muscle mass positively influences fat metabolism, insulin levels, glucose processing, hormone profiles, and disease resilience. These changes influence the “more energy” feeling you develop with strength training. Nearly every patient that comes to physical therapy with a chronic pain problem has a glaring strength deficit that is perpetuating the pain. They have gluteals, scapula retractors, or cervical stabilizers that are not functioning at a level that permit them to perform normal activities of daily living and remain free of pain. What makes these patients better is a program of targeted strength training. If you have chronic hip, knee, lower back, or neck pain, your best method of permanently resolving the problem is strength training. All of the current research says you need bone jarring, compressive, and aggressive loading of your skeleton to enhance or prevent further loss of bone density. Over the last year, two government panels of experts have told us that taking more vitamin D and calcium does not appear to make any difference in bone density. Better bone biology requires that the exercise stimulus be strong and consistent. Low skeletal stress activities such as yoga, Pilates, and elliptical training do not create the forces needed to have a positive effect on bone density. Read Bending the Aging Curve by Dr. Joseph Signorile. I am sorry Ladies, but muscle mass, strength, and power production all leave you at a far faster rate than your male counterparts. It is not fair, but it is the truth. As you age, training to restore these physical capacities becomes much more important if you wish to remain independent for a lifetime. Ask any physical therapist who works with geriatric clients and they will tell you that weakness is the driver of debility. The good news is that a properly designed program of strength training can work wonders. Strength training provides motivation by having clear goals. “I want to tone up” is not a clear goal. Any psychology major will tell you that reaching defined goals reinforces positive behavior. You improve from three to eight solid push ups, carry ten more pounds for fifty yards, press twenty pound dumbbells instead of tens, and it motivates you to stay with the program. Numerous psychological studies have found that a lack of goal achievement is the number one reason people fail to succeed in staying consistent with an exercise program. The girl with the arms you like has strength goals. In February 2012, the U. S. Preventative Task Force recommended against the use of Vitamin D and calcium to help prevent fractures or osteoporosis in healthy women. The panel was unable to find any research that demonstrated greater bone mineralization or fewer fractures in individuals that used these supplements. Despite years of recommendation to take vitamin D and calcium, they simply were unable to find any data showing calcium and vitamin D supplements can prevent bone fractures. In October 2013, the Lancet published an extensive analysis of 23 randomized trials that measured the effect of vitamin D supplementation on bone density at four sites–spine, neck, hip, and forearm. Four thousand healthy participants whose average age was 59 took part in these trials. The studies used dosages that varied form 500 units to 800 units of vitamin D a day. Not a single study or the pooled data showed a significant increase in bone density across the measured sites. The large number of participants, consistent testing, and wide range of treatment regimens gives this recent review considerable strength. The authors conclude that the widely believed idea that vitamin D promotes bone mineralization is probably incorrect. It appears that supplementation is not a viable method of insuring bone health. What we do know is that individuals who participate in consistent bone stressing exercise are more likely to lay down greater bone mass in their younger years and stay well mineralized in their senior years. 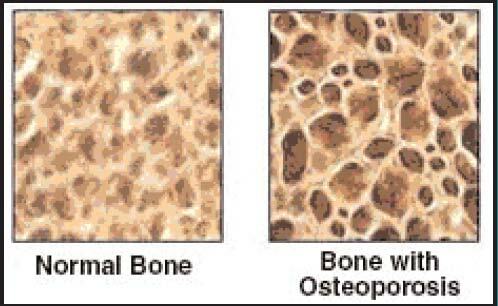 Just like muscle, bone is a living thing that grows stronger in response to the stress that is placed upon it. The best bone building exercise activities involve short bursts of high amplitude stress that produce “bone jarring” shock through your skeleton. Bone building exercises are easy to understand, but they do require more effort than swallowing a few pills. Carry a forty-pound sandbag 100 yards. Push a loaded sled fifty yards. Perform a few sets of box jumps–jump up and step down. Your bones will stay well mineralized, but you will miss meeting all those nice people in the nursing home. Athletes prepare for performance with a series of warm up activities specific to their sport. A baseball player, soccer player, or boxer would never walk into a competition “cold” because they know the risk of injury is much higher if they do not warm up. Despite this knowledge, almost everyone shovels snow without any type of physical preparation. They pull on their coats, grab their shovels, and charge into an extremely challenging activity for their cardiac and skeletal system. A snow shoveling warm up takes five minutes and can greatly reduce your chance of injury. Try some of the exercises in the accompanying video to help you warm up for snow shoveling. Poor mechanics when shoveling snow is often the cause of spinal injuries. Combining spinal flexion (forward bending) with loading (shovel full of snow) and rotation (twisting) is the ergonomic “perfect storm” for lower back pain. When you lift a big scoop of snow and twist to throw it sideways, you create the force combination that can damage the lower lumbar discs and joints. Push the snow, and if possible, avoid lifting and throwing. Keep the spine long and straight and bend at the hips and knees so the legs can help perform the work. Keep your arms wide on the handle and your neck relaxed. Frequently switching the shovel to the other side spreads the cumulative loads evenly across the body. The loads on the shovel should be manageable. You are better off lifting less snow and working longer than lifting more and adding greater compression to the spine. Choose the right equipment. Many snow shovels are just too heavy. I recommend using a light plastic or aluminum shovel. Some steel shovels can weigh well over nine pounds and this extra weight can create too much stress on your body. Wear boots that prevent your feet from slipping. You must be able to grip the ground to properly transfer force through the legs when shoveling. Wear good gloves, and purchase a shovel with an end handle if you have any problems with grip strength or arthritis in the fingers or wrists. Finally, if the heaviest object you have lifted in the last six months has been the television remote, you should just hire someone to shovel the snow. Shoveling snow is a demanding work activity that requires a moderate degree of fitness and good body mechanics to be performed safely. One of the best reasons to exercise on a regular basis is that it enables you to safely perform tasks such as shoveling snow. The vast majority of snow shoveling injuries happen to people who lead sedentary lives. I have been ranting about how damaging hours and hours of sitting is for our fitness and overall health. More research is validating my belief that all the driving, computer time, and television watching is going to keep physical therapists, cardiologists, and surgeons working overtime for the next twenty years. It appears that going to the gym three times a week is not enough of a stimulus to counteract the bad that happens when you sit for eight hours a day. What we need is more general physical activity interspersed throughout our day and less sitting. Take the time to read this article, The Marathon Runner as Couch Potato written by Gretchen Reynolds from the New York Times, October 30, 2013.